from Lawrence E. Gibson, M.D. Research on the best foods for healthy skin is limited. Still, antioxidant-rich foods seem to have a protective effect for the skin. On the flip side, some foods seem to be associated with skin damage. For example, some research suggests that a diet high in processed or refined carbohydrates and unhealthy fats promotes skin aging. Remember, many of the best foods for healthy skin also promote good health overall. 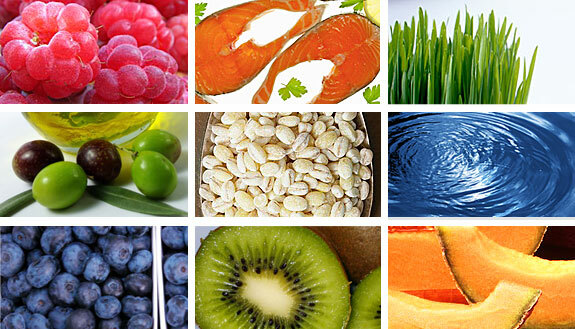 Rather than focusing on specific foods for healthy skin, concentrate on a healthy diet in general. Eat plenty of fruits and vegetables. Choose low-fat or fat-free dairy products. Include nuts, seeds and beans in your favorite meals. Opt for whole-grain breads and pasta. Limit sweets. Strive for variety as you're making healthy choices. I completely agree! I think having a better foundation FOR your make up foundation is more important because having healthy skin will make you look beautiful whether you're wearings lots of or little make up! yey! i love skin care tips! Do you still use the Avalon Organics Vitamin C cream? Hey....Thanks 4 d awsum post.. Luvd it! When are u going to put up a home tour video? Really been waiting for that for a long time now!!! do you want to follow my blog ??? Do you still use the Aztec Secret Healing Clay? I watched your older skincare routine video and was really interested in it for my skin. So I ordered it on amazon. Just wondering. :) btw. I love your blog and channel! Hello Beauty! Thank you for sharing your tips with us!!!!!! Do you still use Personal Microderm? And one more Q :) Do you do facial with esthetician or you just do it by yourself? Love your blog! I will definitely be getting the Neutrogena Mask/Cleanser combo! Hi Annie, just want to thank you so much for being honest and posting videos on acne. I have suffered for many years and have tried everything then i have done an extensive research and i watched your video and decided to give it a try ACNE.org This is the ONLY product that has helped me get rid of acne completely. Forever grateful to you for passing that on. Thanks Annie!!!!! Thanks a lot Annie! I have the same skin type!! What products you use at night?? Can you do a night skin routine? I've been using a brightening cleanser from Apothederm http://apothederm.com/shop-products/brightening-acne/brightening-cleanser/ and it's been working wonders on my skin this summer! Glad I found your web page, this is very helpful, thanks for sharing.